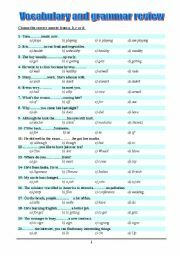 A collection of 300 Multiple choice questions for elementary and intermediate students. 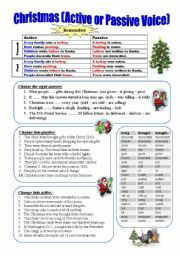 Good for reviewing some general vocabulary and grammar points before final exams. In preview you will see it is only 10 pages but in fact it is 15 pages. An easy and interesting way to get students to write. 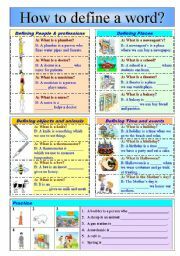 It also helps to present some parts of speech. 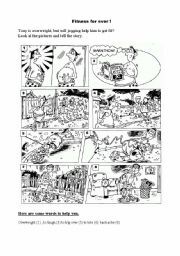 I got the idea form an old book titled "Cambridge English Course". SS can practice defining different word categories using relative pronouns. 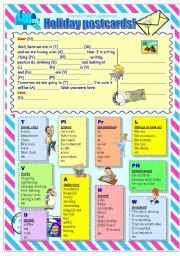 With this sheet you can make your students pracitce writing and speaking in an interesting way. They will like it a lot. 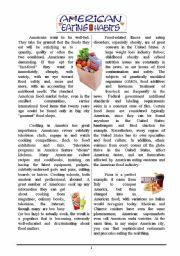 This article is about American eating habits in addition to some American traditional snacks, mainly hamburger and hotdog. I compiled and adapted that article from various sources on the web. Hope you like it. 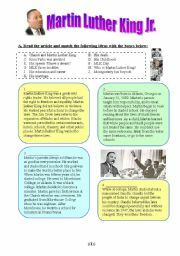 A worksheet with some information about that great man. Studnts have to read and match ideas with the boxes. 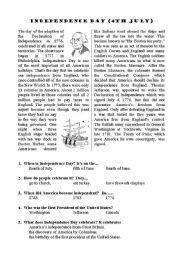 This a reading about the Independence Day (4th July) .. followed by comprehension questions and a crossword sheet. Here is another picture story like the previous one. http://www.eslprintables.com/printable.asp?id=84240#thetop I hope you like it. A resourceful presentation on the Halloween (24 slides). I collected the information and the pictures form many web sites. Don�t forget to download part 2 and 3. A resourceful presentation on the Halloween (24 slides). I collected the information and the pictures form many web sites. 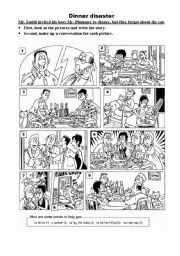 Don�t forget to download part 1 and 3. A resourceful presentation on the Halloween (24 slides). I collected the information and the pictures form many web sites. 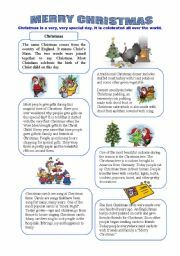 Don�t forget to download part 1 and 2.